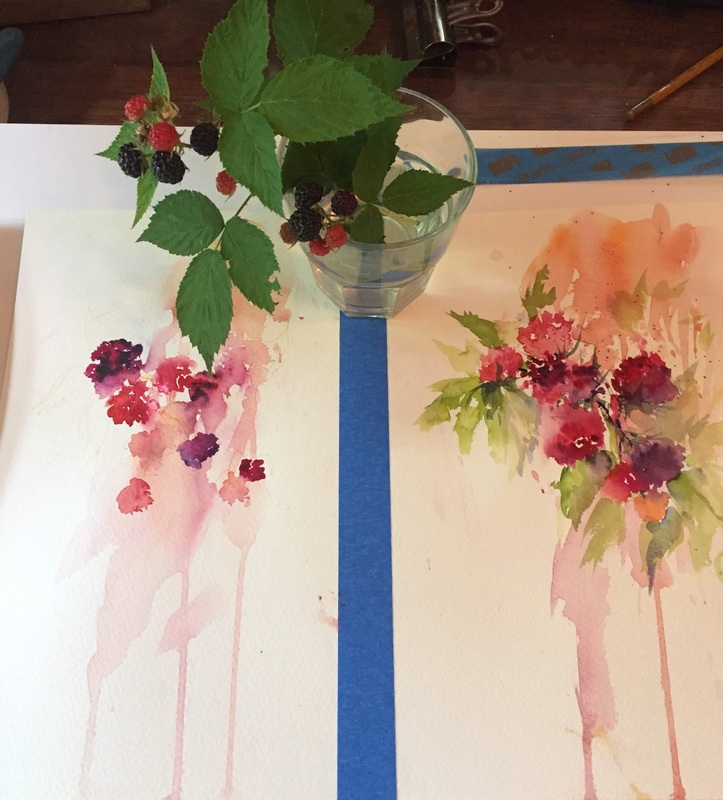 Every July our yard is full of wild black raspberries-free breakfast! I love when the berries are all different colors in their stages of ripening. Played with a bunch of different colors trying to capture the juiciness. 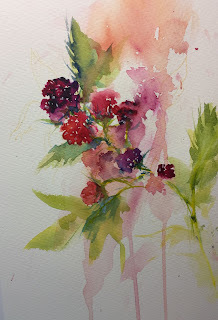 I used Alizarin crimson, Winsor violet, and Quinacridone lilac, with a spritz of orange here and there to warm it up. Thank you for visiting, art lovers everywhere! I love to paint and post new work most frequently on Instagram and my Facebook page. Nature, wildlife, and people excite me and are my favorite subjects to capture. Feel free to contact me through this blog, email (on profile page) or message me on my Facebook page. The images on this blog are my own and not to be used for any purpose without my permission. Thank you for respecting all artists' work. Click on the Fine Art America logo for Artwork available to purchase! Interested in starting your own Lavender Farm? still on my way to all the way. and all the ways i find in the way. Amanda Brett Watercolour Artist, Tutor, Speaker, Author | Lessons, thoughts and musings on how you can create great watercolours! How does Contrast work in a watercolour painting?